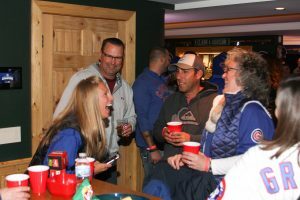 This party lasted two days! 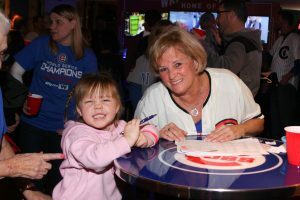 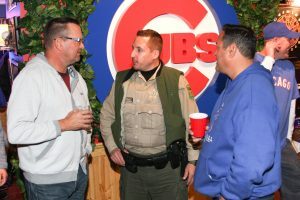 Mark Grace was scheduled to appear Friday, but there was a mix-up, and he did not show up until Saturday night. 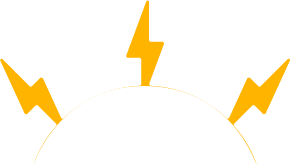 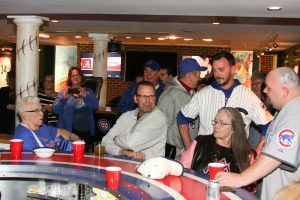 In my opinion, we waited 108 years for a World Series party, so 1 night was not enough ANYWAYS! As many of you know, Dorothy Farrell is like family to me. My family and I met her with the Wild Bunch long ago in Cincinnati. Since then, she has remained a staple in our lives. 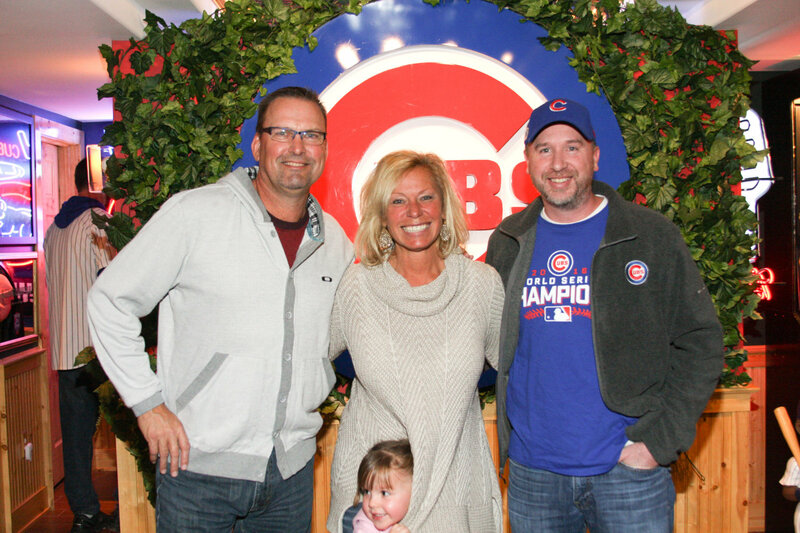 Her favorite player of all time is Mark Grace. 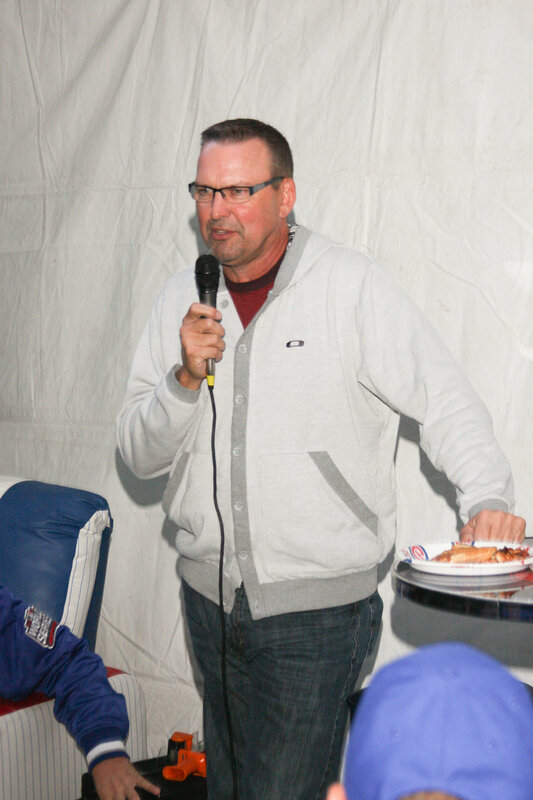 I worked on getting Mark Grace out here for a while. 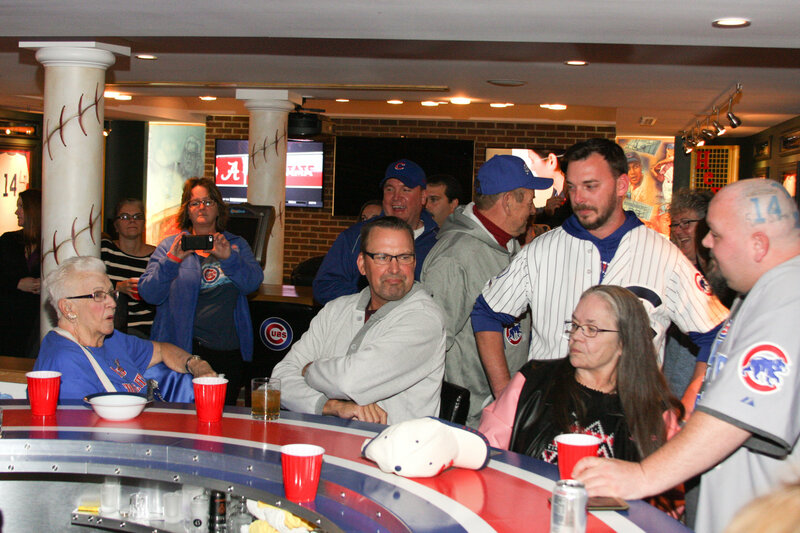 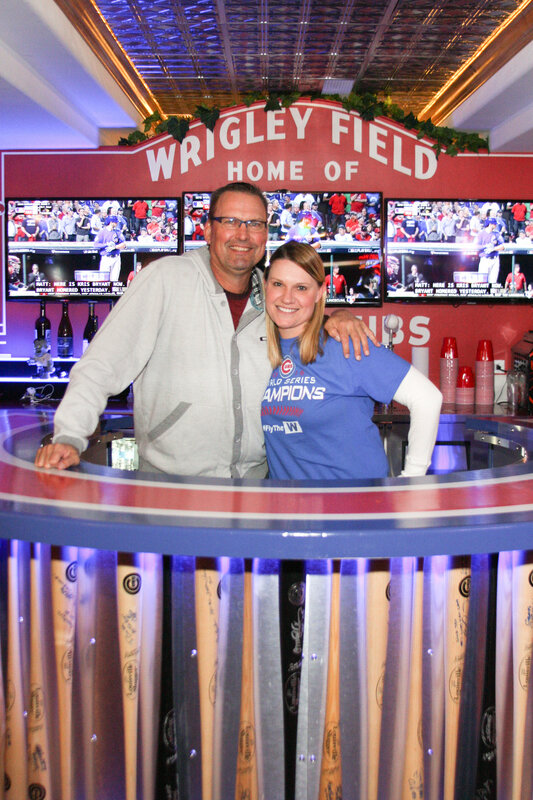 I really did want to have a party for Dorothy with Mark Grace here at Club 400, and it finally happened! If you happened to be able to make it to the second night, you were in for a treat. 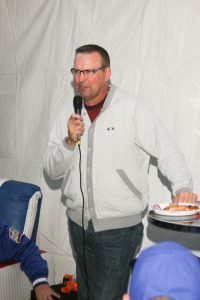 Mark Grace was the epitome of cool. 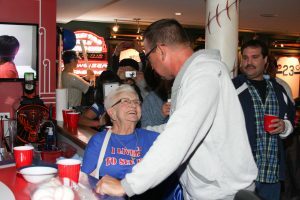 He signed anything and everything, including David Eagan’s back that he had tattooed that very night. 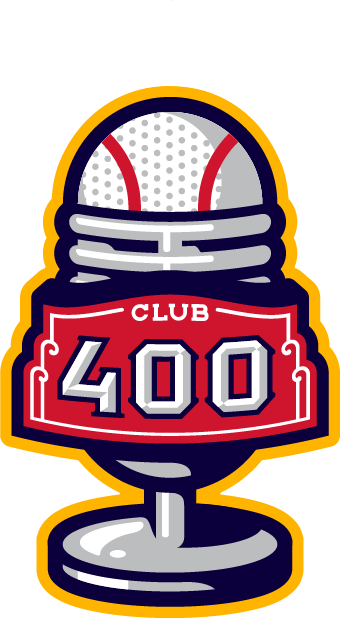 The Q+A portion was simply the best Q+A we have ever had here at Club 400. 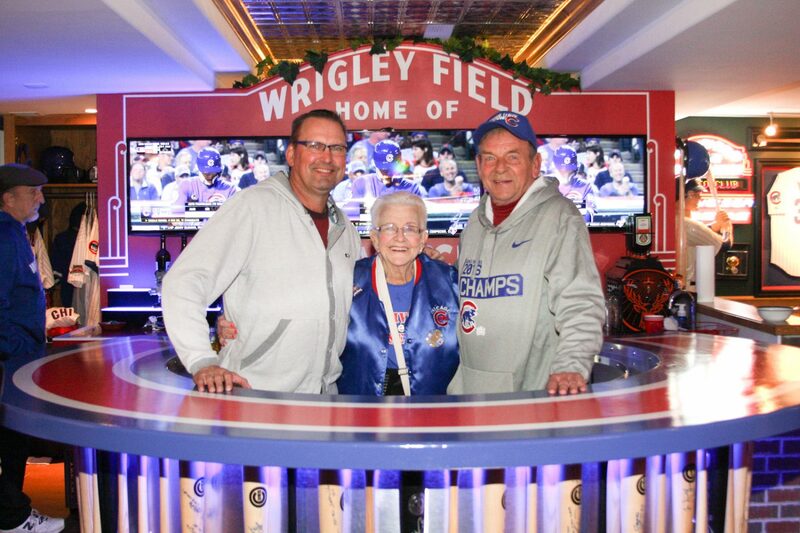 I didn’t have to say much. 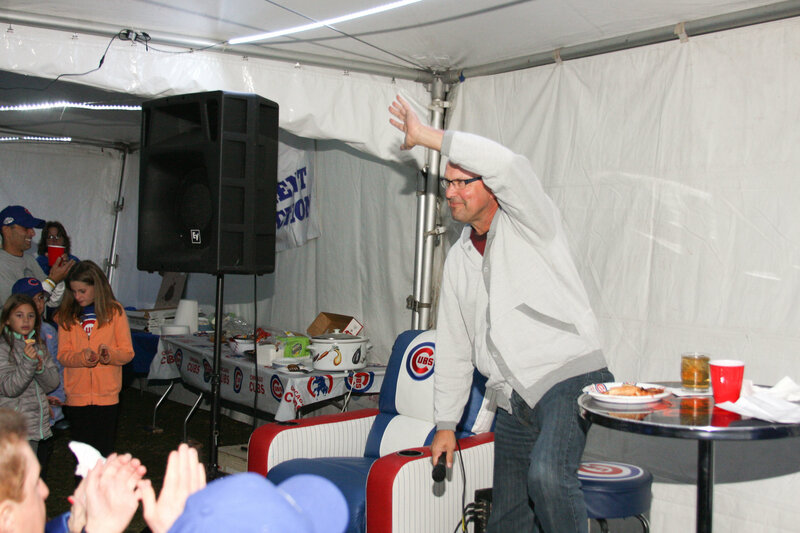 Mark knew how to handle the microphone, and he knew how to entertain the crowd. 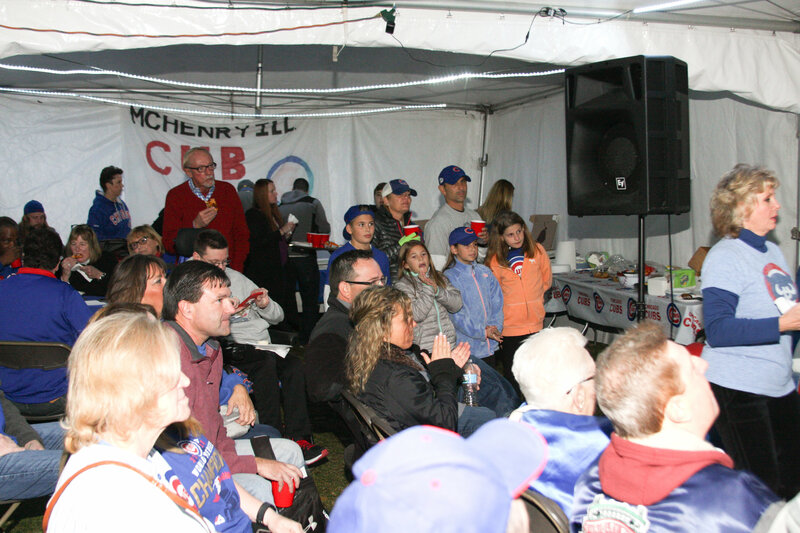 It was a little chilly inside the heated tents, but Mark brought his A+ game and heated that place up. 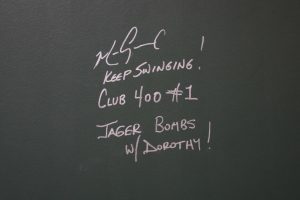 The banter between Dorothy and him was classic! 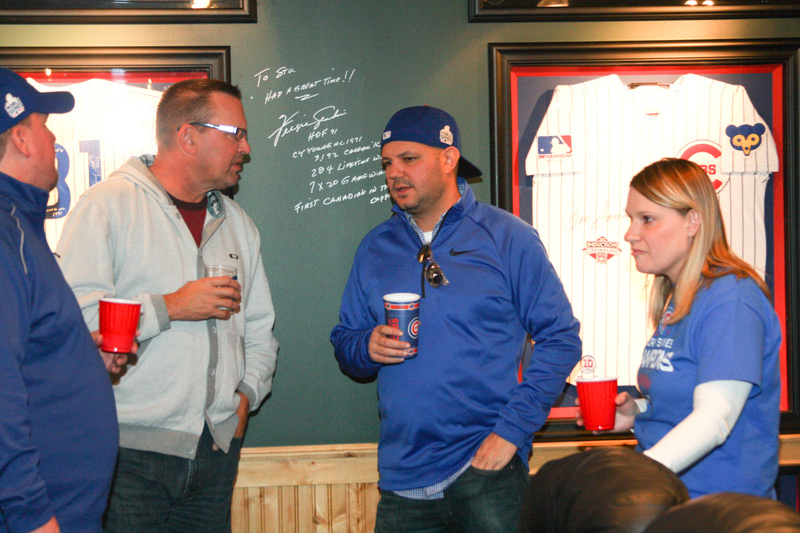 Fittingly, we ended the Q+A with a shot of Jagermeister. 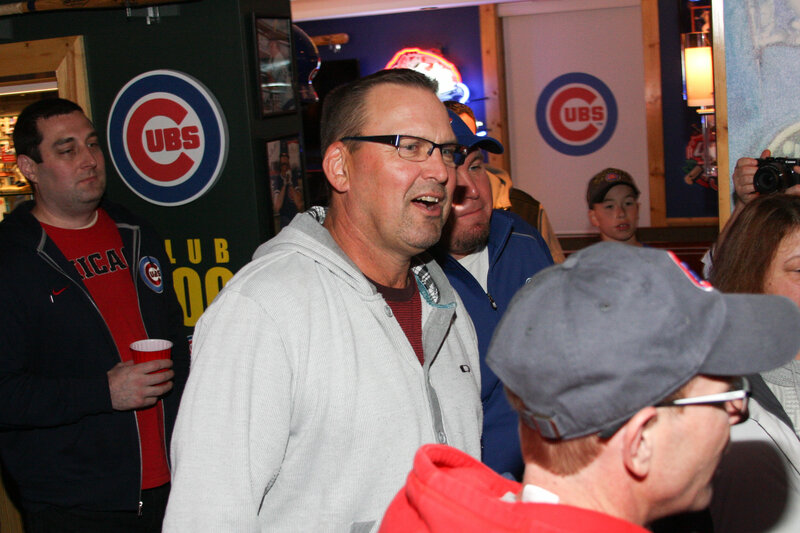 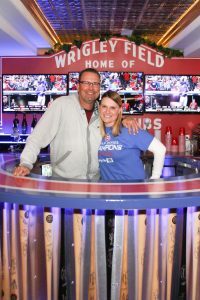 I was very proud to have Mark Grace out to Club 400 and was thankful for his time with us. 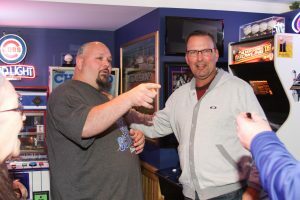 He was one of the players I grew up watching when I was a kid. 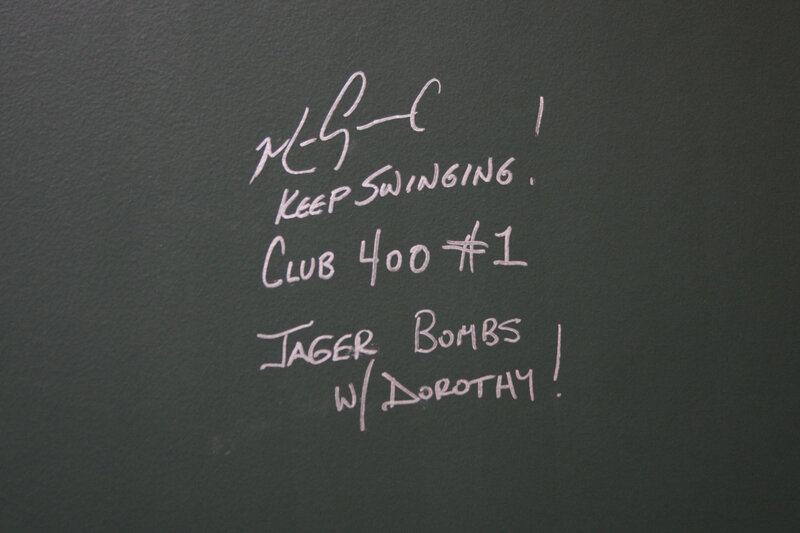 Just like our other Club 400 guests, I appreciated Mark for the person he is off the field. Mark has had a few ups and downs in life, but has handled those situations with complete honesty and transparency. The Arizona Diamondbacks love him to death. 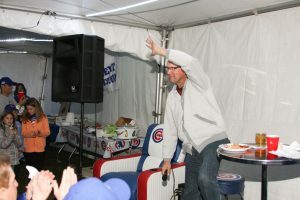 I was hoping he would come back and work for the Cubs, but we will just have to wait and see.